← Why you should be shocked by Tullian’s sin. I agree wholeheartedly. I removed myself from Facebook for the sole reason of growing weary of reading the “everything’s coming up roses” posts when I knew it wasn’t so. 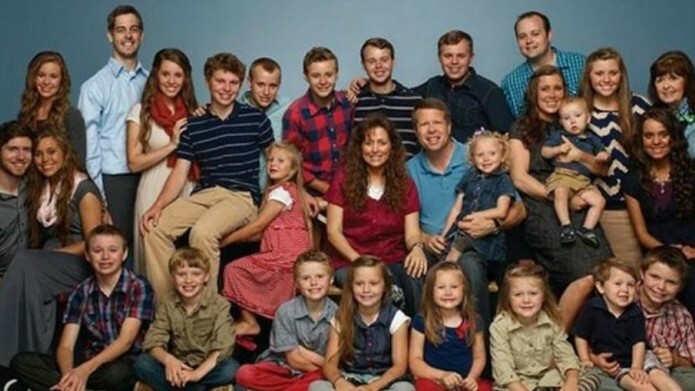 As far as letting my kids watch the Duggars, I would only record it and watch it with them so I could fast forward due to the ridiculous amount of nasty commercials played during their show. From Sister Wives to Breaking Amish the amount of garbage ads was appalling. I love watching and supporting the Duggar family but agree that time off tv is what’s best for them. Thanks for commenting Angela! I agree, TLC’s commercials are definitely not for kids. Amen! Standing with you in agreement! Ah, my like minded Lauren. I love how you taunt us with your titles and titillate with truths you articulate so well. Yes, and amen. More humility and less ego. More healing and less DVR lists. So true. For Pete’s sake, (and Angelina’s as well) the TV has been silenced in our home and our book shelves have been purged and restocked with Bible laden truths. And, after reading Robertson’s story, I feel like buying a dog, just so I can name something McQuilkin. That man! One reason I stepped away from ministry years ago, was because someone left her husband and 4 kids to be a minister on another continent, siting God’s calling to do so. When I asked my pastor,”Would God do that?” the answer was, “Yes, sometimes.” And I said “Not my God! Not this girl!” Now, I consider homeschooling (with amazing godly families) my calling for this season of life. For Pete’s sake! …And Angelina’s, too. Very convicting. The ability to balance the “kingdom first” passion that burns so bright in the heart can be oh so tricky at times. Ministry commitment can so easily cross over into personal ambition. Great post though: it challenges and doesn’t pull punches. I really enjoy reading your blog posts. You have a great ability to speak the truth in life be. Thank you Lauren, wish we lived closer so we could hang out!! Thanks Nancy! Ever think you will move back south?